A woman was taken to hospital after she suffered chest injuries in a two-car smash on the M65, say police. Police were called to Junction 3 of the M65 around 8.45pm on Sunday, November 19. 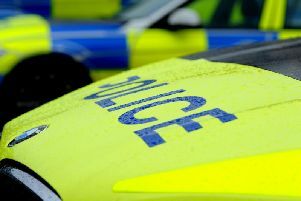 A Peugeot 307 and a Ford Fiesta had been involved in a collision on the westbound carriageway. Officers say the driver of the Peugeot, a 43-year-old woman, suffered minor chest injuries. She was taken to Royal Preston Hospital for treatment. The driver of the Ford, a 74-year-old man, was not injured, they added. PC Michael Smith, of Lancashire Police’s Roads Policing Unit, said: “We are investigating the circumstances of a collision on the M65 close to Riley Green. “A woman has been left injured and we want to establish exactly what has happened.